Titan specializes in serving high-risk drivers who have trouble finding insurers that will sell them a policy, typically because they have DUI convictions or serious or repeated traffic violations. Drivers whose auto insurance coverage has lapsed. Drivers who’ve accumulated numerous speeding tickets or traffic offenses over a short period. Drivers new to the United States who don’t have an American driving record yet. Titan will insure high-risk drivers when a lot of other companies won’t. Titan offers a wide selection of discounts. Titan has received a high number of complaints relative to its size. Titan doesn’t have a mobile app. A.M. Best financial strength rating: A- (Excellent). Complaints: Greater than the industry median for a company of its size. Size: Parent company Nationwide Insurance is the No. 8 largest auto insurance company based on direct premiums written, according to A.M. Best. Liability: Pays out when you cause injuries or damage to others in an accident. Comprehensive: Pays out if your car is stolen or if it’s damaged by anything other than a collision, such as damage from a storm, a falling object, vandalism or striking an animal. Collision: Pays out if your vehicle collides with another car or an object. Medical payments: Pays for medical expenses if you or your passengers are injured in an accident. Uninsured/underinsured motorist: Uninsured motorist pays for your medical costs when you’re hurt in an accident caused by an uninsured driver. Underinsured motorist coverage pays out when the other driver doesn’t have enough liability insurance to cover all of your medical costs. Titan provides SR-22 insurance forms, which some states require for high-risk drivers to prove they have auto insurance coverage in order to keep or reinstate their driving privileges. Known as an FR-44 in some states, the SR-22 is required after serious or repeated traffic offenses or a DWI or DUI conviction. Insurance companies file the forms with the state’s department of motor vehicles. Titan also offers roadside assistance coverage and rental reimbursement coverage. Titan auto insurance is available in 23 states: Alabama, Arizona, California, Colorado, Delaware, Florida, Georgia, Illinois, Indiana, Iowa, Maryland, Mississippi, Nevada, New Mexico, North Carolina, Ohio, Pennsylvania, South Carolina, Tennessee, Texas, Virginia, Washington and West Virginia. It also offers commercial vehicle insurance in 17 states. Titan Insurance sells its policies online, by phone and through local agents. Nationwide Insurance agents also sell Titan products. Titan offers 16 auto insurance discounts, though eligibility, availability and discount amounts vary by state. You might be eligible for savings if you’re a safe driver; if your car has anti-lock brakes, air bags or an anti-theft system; if you insure more than one vehicle with Titan; and if you own your home. You might also qualify for discounts if you’re a member of the military, if you use your vehicle on a farm, if you had insurance and weren’t a high-risk driver before, if you’re a good student, and if you take a driver safety course. When compared with the median for a company its size, Titan has a higher number of complaints, according to the National Association of Insurance Commissioners. Titan’s complaint ratio of 3.45 for auto insurance is significantly higher than the industry median of 1. Titan’s website is a no-frills affair. You can get a quote online, find an agent, make a payment and learn about coverage options. Information on the website is available in Spanish. Titan does not have an app. If you’re considered a high-risk driver, you can usually expect to pay more for auto insurance. Still, it’s a good idea to shop around and get several quotes, because rates will vary from company to company. 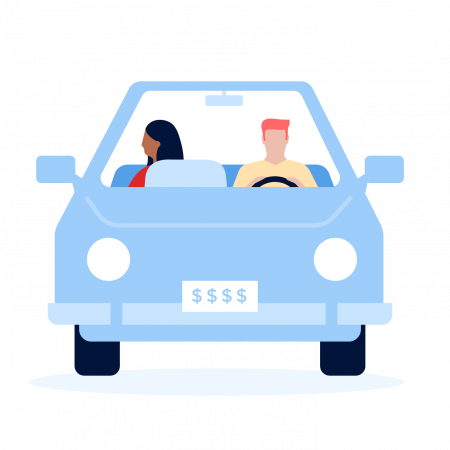 NerdWallet’s auto insurance comparison tool can help.